NEW! We offer you two newly built, solar powered cabins with spacious decks facing the forest where you can enjoy your meals and undwind while nothing disturbs your well deserved peace. 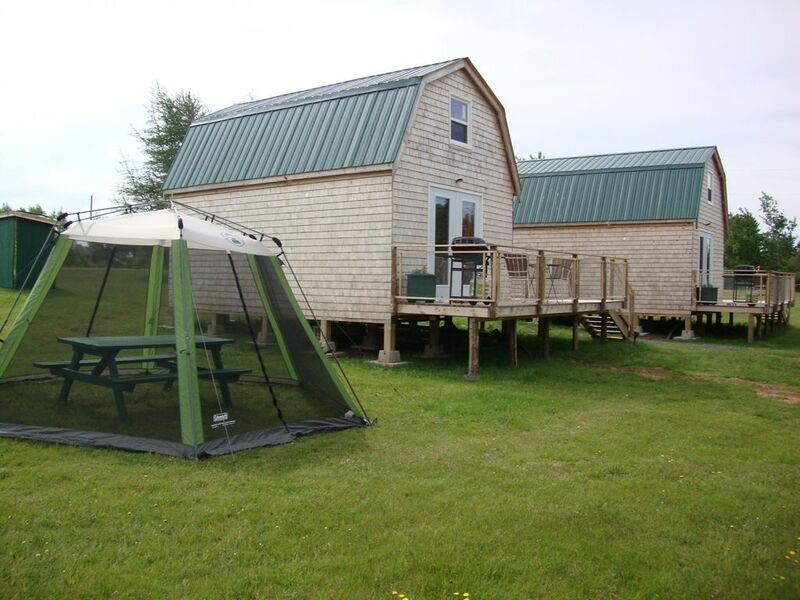 The cabins each sleep 2, are equipped with bathroom with shower & toilet, kitchenette, TV & DVD, BBQ; An easy to walk trail leads to our private beach where you can relax in the warm sand, swim in tepid water or explore the bay in a canoe watching Bald eagles and seals. A 9 hole golf course is within walking distance, other fantastic golf courses, horse stables, spectacular beaches and romantic lighthouses are not far away. You find excellent restaurants in Montague, Murray River and Murray Harbour, only 45 minutes to Charlottetown and 20 min. to the Wood Islands Ferry Terminal. We enjoyed our stay, very quiet, clean everything you need for a getaway.. would have been nice to have a radio in the cabin.